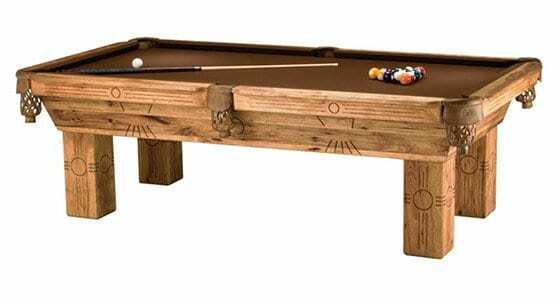 Diamond Blue Pool and Spa is proud to offer Connelly Pool Tables built to exacting standards that combine creativity, superior materials, state-of-the-art technology and old-world craftsmanship. 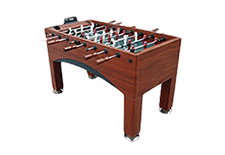 Connelly produces tables that meet or exceed Billiard Congress of America (BCA) specifications and they are environmentally friendly, no endangered or rain forest woods are used in the construction of Connelly tables. Connelly offers more than 30 meticulously crafted models. 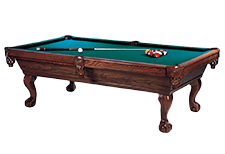 Tables are available in many American hardwoods, offering customers more versatility than other pool table manufacturers. The standard Connelly woods, oak, maple, and cherry, are all chosen for their durability, strength and beauty. 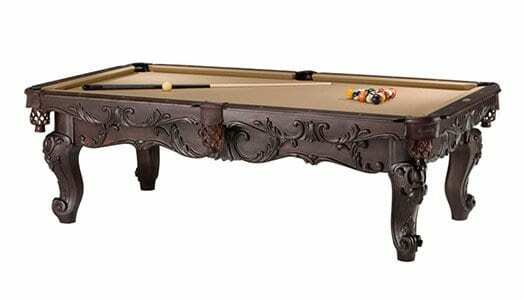 Distinctive tables with most models offering carved hardwood legs, the affordable Plateau Collection includes features like a wide solid hardwood 6 inch rail, the exclusive Connelly Rapid Rail featuring ICON cushions ,1.25 inch Connelly Certified Tournament Slate, and genuine leather pockets. And of course, Plateau models are available in four different American hardwood veneers. Furniture you can play on – offering the perfect choice for an active family gameroom, the Canyon Collection features the Rapid Rail with industry standard K-66 profile cushions for great play. The cabinet, depending on model, is either 4/4 American hardwood, 1-1/2 inch durable melamine, or American hardwood veneer. 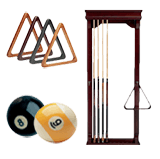 With 5-inch hardwood rails, and 1 inch Connelly Certified Slate, this family favorite Collection is simply hard to beat.